Download the Rivanna Trail App to navigate a detailed real-time map of the trail on your iPhone or Android device. 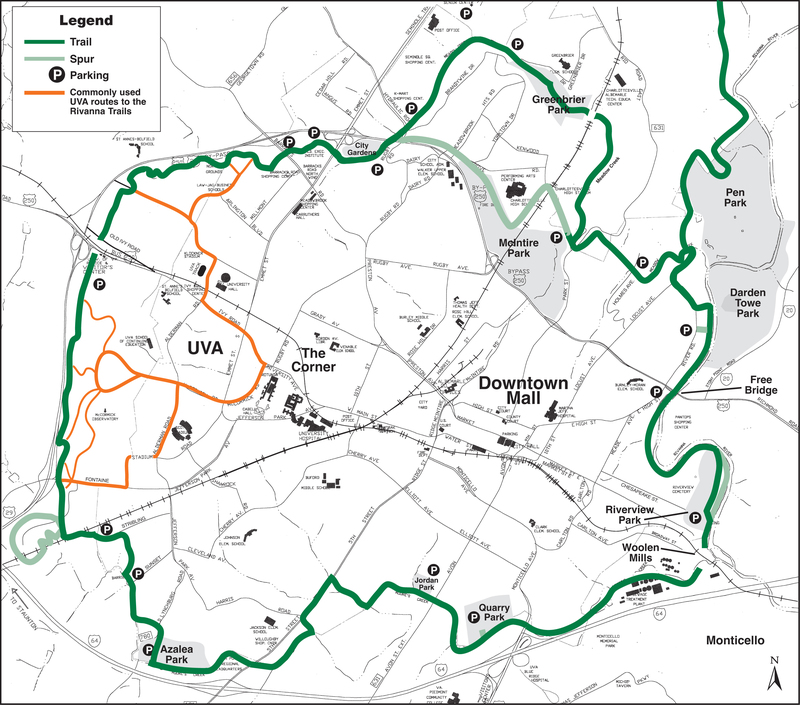 This interactive map--also available via the Rivanna Trails app--provides the most detailed and up-do-date overview of the trail. Use your mouse to scroll and zoom. We offer the pdf version below for download if you're looking for a print copy, but please note that it is not as current as the interactive map, and does not reflect recent additions or closures.